Enjoy a silky smooth experience that delivers vanilla, peach and apricot with a delicious caramel finish. We only use the best sweet potatoes from our farm in North Carolina. Handmade in Copperstills we hope you enjoy our Moonshine as much as we enjoy making it here in the UK. 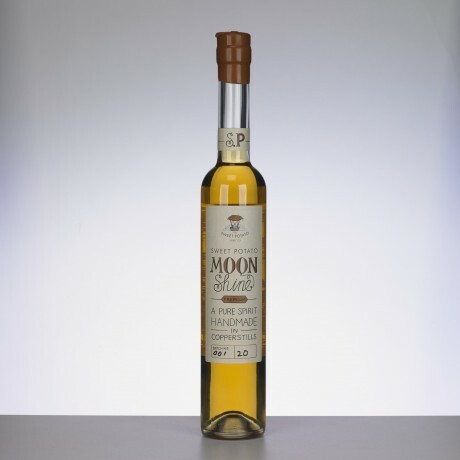 Moonshine packs a punch at 42% but it won't burn as you sip. Each bottle is individually numbered and finished by hand with a wax seal.